Unveiling a trio of critical data findings in this broadcast season. 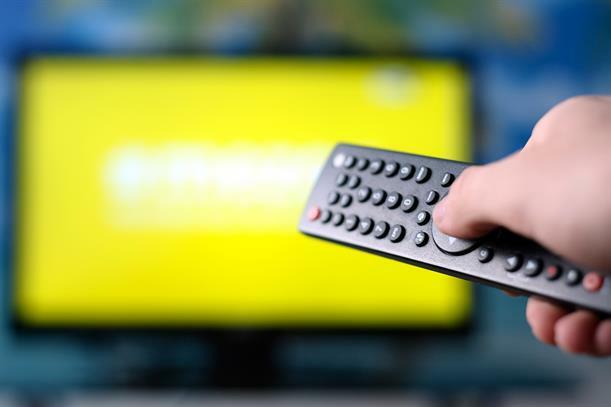 Since there is so much more at present on any broadcast platform than those traditional Nielsen ratings, this week I want to focus on three data-centric items that should be on everyone’s "must know" radar. Let me begin with some interesting stats on the programs that we now know are resonating on the digital streamers. Netflix, Amazon and Hulu, and the other streaming services, as always, refuse to share any data on their shows, citing subscriber analytics as their business of interest. "Ratings and reporting on ratings is an essential piece of the business puzzle for ad supported networks, for sure," said Netflix programming chief Ted Sarandos back in the summer of 2016 at the Television Critics Association Press Tour. "But subscriber growth, not advertising, drives our revenues. We’ll do great as long as we continue to attract more members by offering compelling, exclusive, and original movies and TV shows across a wide range of electronic devices and at prices that offer great value to people all over the world." "If we make great programming that people love, they remain subscribers, and they tell their friends, and they become subscribers," he added. "If we make programming people don’t love, they leave and our revenue shrinks. It’s that simple." Two years after these comments by Sarandos, the question to ponder is just how many more subscribers Netflix will attract to support the record $12 to $13 billion spent on original programming this year (according to The Economist). This inflated figure is actually triple – or more – than what a Big 3 network like CBS has invested. And won’t Netflix ultimately reach its zenith in subscribers? That aside, you do actually have to give a "thumbs up" to Netflix, which according to data from Parrot Analytics is home to the Top 5 -- and 8 of the Top 10 -- most streamed shows over the last three months (Aug. 10 – Nov. 7). Parrot Analytics uses a measurement metric it calls "Demand Expressions," which combines streaming, downloads, social media, comments, blogs and other sources, weighed by importance, to determine how these streaming series are faring. One parameter, in particular, of great importance in determining the success – or failure – of any show is the upscale metrics. Advertisers seek homes with financial prominence, no doubt, and a number of network series currently lacking based on the traditional ratings actually top the ranking for over-indexing based on homes with combined incomes of over $100,000. First overall is ABC’s "Modern Family," which continues to fade in the traditional ratings but over-indexes by a significant 52% ratio. In other words, this many not necessarily be the final season of "Modern Family" as reported last spring. "Shark Tank," also on ABC, looks like a bust on Sunday, but it ranks second in upscale over-indexing percentage. And the alphabet net’s freshman drama "A Million Little Thins," a clone of sorts from NBC’s "This Is Us," is a haven for viewers with plenty of the green stuff. Even NBC’s current roster of ratings-challenged Thursday night comedies, "The Good Place" and "Will & Grace," in particular, also attract an upscale audience (as do a number of low-rated ABC chucklers). While audience size and demographic skew matters, upscale is a word that is probably even more relevant to a sponsor looking to make a sale. In today’s busy world, where watching a series live is becoming more obsolete, time shifting is of increasing importance. The smaller the live audience, the greater the chance there is for a larger percentage of DVR usage lift. Seven of the Top 10 shows in total viewers, in fact, belong to The CW (with "D.C.’s Legends of Tomorrow" topping the list). And programs like aforementioned freshman "A Million Little Things" on ABC and long in the tooth "Criminal Minds" on CBS are worth another look given the rise via the DVR. As always, reality competitions and sports do not resonate outside of live viewing. Learning of the outcome prior to watching always limits interest. Superhero-themed shows (including "The Gifted" on Fox and The CW’s glut of crime solvers) tend to resonate in time shifting due to their younger audience skews. And dramas tend to have a greater impact in DVR usage. Only one sitcom, NBC’s "Will & Grace," topped the following Top 20 total viewer percent increase. Next up: Our annual TV Turkeys column, citing the worst in original content just in time for Thanksgiving. Gobble! Gobble!